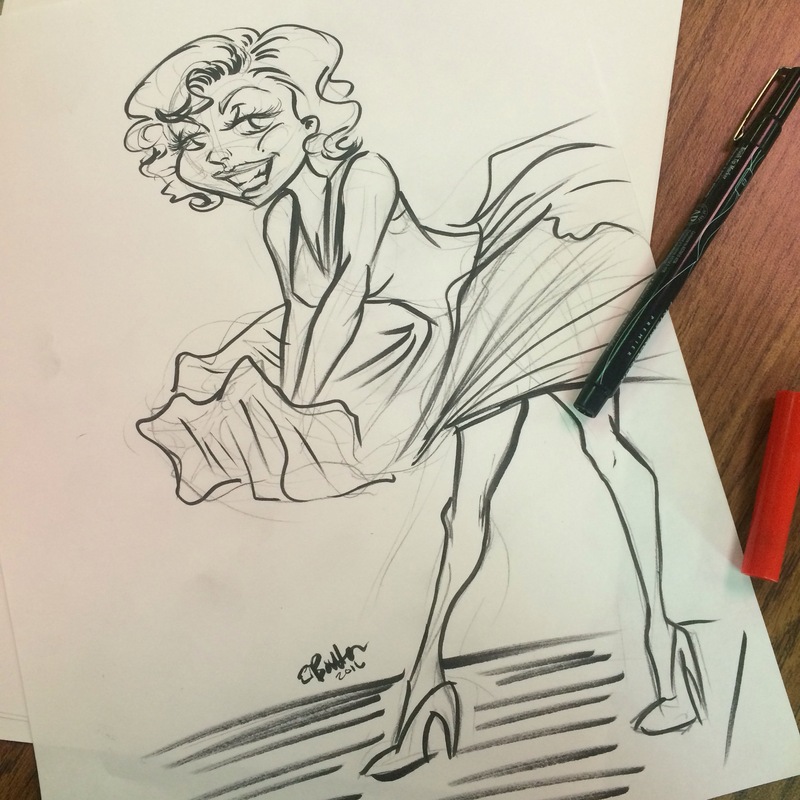 A sketch of Marilyn Monroe for a friend at work. Why, yes, I am alive! Here is a snazzy Batman vs. Deadpool painting I did in my little hiatus. More stuff to come later!